Car Repair for New Parents! 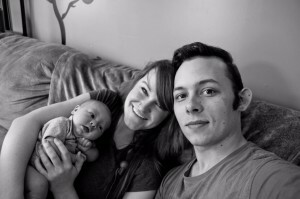 Meet Tim & Lauren, new parents and recipient of our first Random Act of Kindness! As most of you know, babies can be pretty expensive, so when their car broke down it wasn’t good news. After missing a few days of work with no vehicle, we were able to get the starter replaced and back on the road! This was a huge blessing to their family and they want to say thank you to all our owners who contributed to the fund!